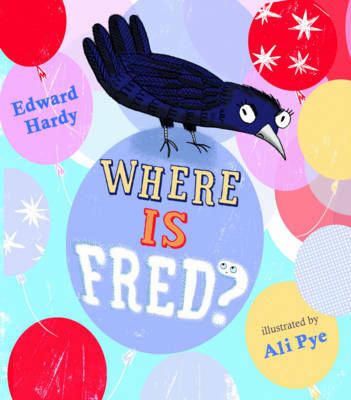 Join in this original and hilarious game of picture book hide-and-seek starring a hungry crow and a fluffy white caterpillar called Fred. Hey, YOU! Yes, YOU reading this! I'm Gerald the crow and I'm looking for a lovely, fluffy white caterpillar called Fred. Have you seen him? I want him for my lunch! You haven't? Are you sure? Then ...WHERE IS FRED? Follow Fred the fluffy white caterpillar as he outwits Gerald the Crow, in a brilliant new picture book about playing hide-and-seek theme. Fun to read aloud and perfect for sharing, this picture book by Edward Hardy, author of Martha, No!, and Ali Pye will keep children and parents entertained again and again. Loved it, it's a lovely tale with beautiful pictures. I bought it for my nephew and he loved it so much I ended up buying it for several other people too. Highly recommended.